New Delhi: ‘Don’t know what waste management is’, ‘waste is waste, its place is in the dustbin, how can we help in manage it’, ‘waste management is authorities job, not ours’, these were some of the responses of urban people living in the national capital region of India – New Delhi when NDTV asked them do they know about the concept of Waste Management. And this negligence is the primary reason behind India’s waste mess today. According to the figures shared by Ministry of Environment, Forest and Climate Change, India generates around 62 million tonnes of waste annually of which 43 million tonnes is collected, 11.9 million is treated and 31 million is dumped straight into the landfill sites. 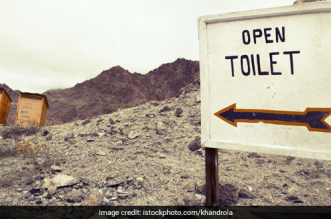 A study was done on India’s waste mess by Down to Earth, a Centre For Science And Environment’s publication, stated that the untreated amount of waste in India is equivalent to 3 million trucks piled with garbage and covering half the distance between the earth and the moon. The worrisome part is that even after government’s intervention in the previous years to reduce waste burden through Solid Waste Management Rules 2016 (a revision of waste rules in India after 16 years and making waste segregation mandatory in the country along with other things) and Two-Bins nation-wide campaign (launched in 2017 on World Environment Day by the government) that once again made waste segregation in 4,000 cities compulsory. But the on-ground reality has not changed much in India. Only a few of the Indian cities are today known for their waste management systems such as Indore, Ambikapur, Mysuru, Alappuzha, and Panaji. Big cities like New Delhi, Bengaluru, Mumbai are still far behind from achieving its waste goals. 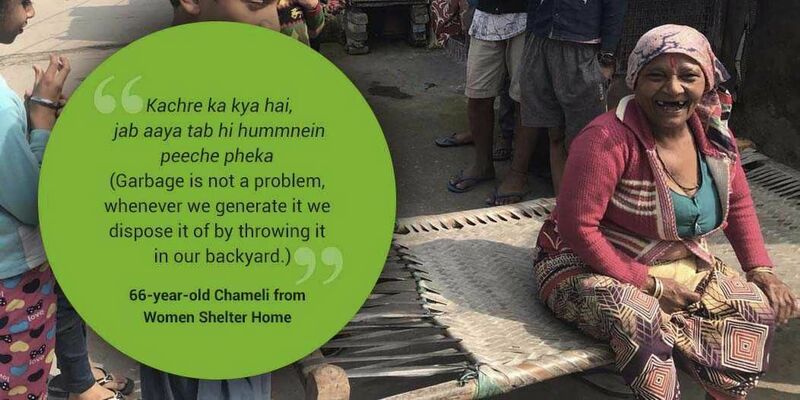 To check on the ground reality of waste management, NDTV visited different localities of the New Delhi, be it urban slums or apartments, markets and kachra ghars (small garbage dump houses). 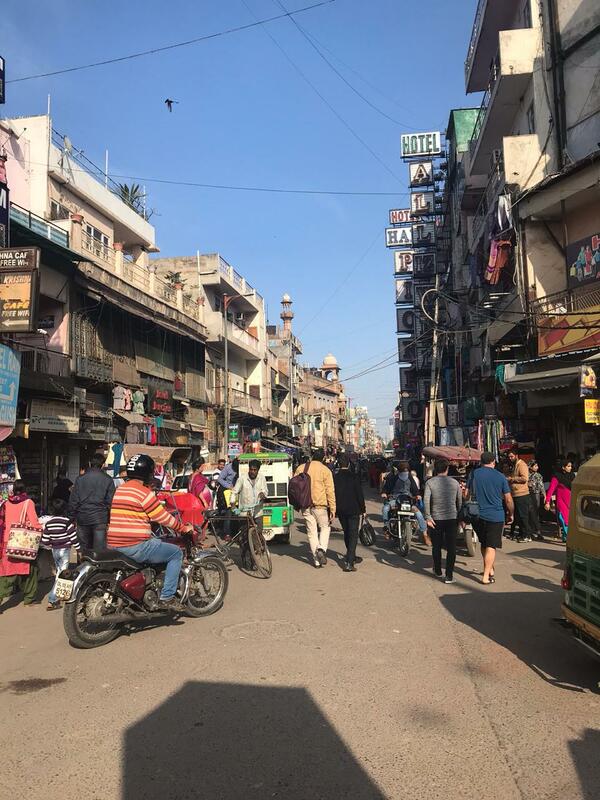 In North Delhi, we visited Khyber Pass area, Chourasia Lane in Civil Lines and Paharganj. 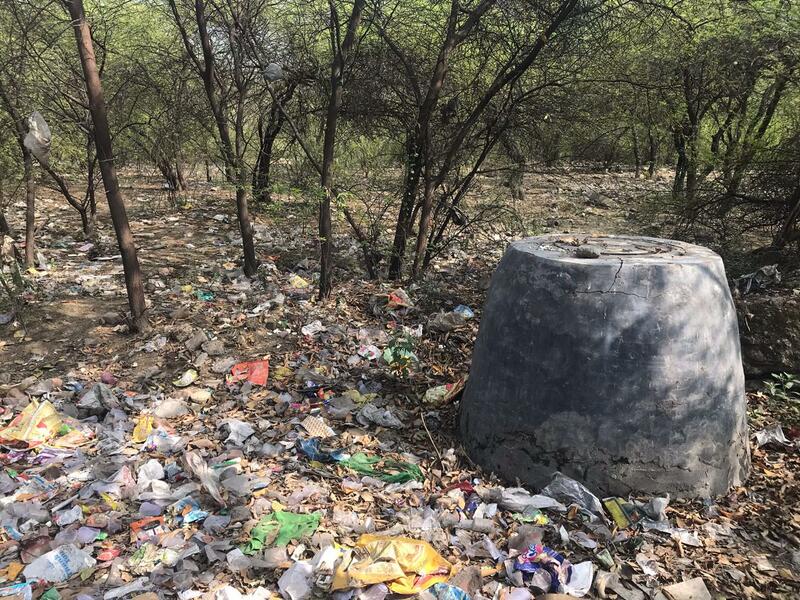 At Khyber Pass locality people didn’t know what waste management and waste segregation entail and their daily practice of waste management included putting their waste in a bin and throwing it in one big drain near their area. 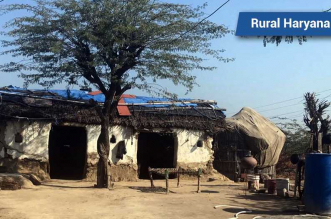 The second location was Chourasia Lane, a slum area where more than 15 thousand people are living. The bad waste management history of the slum was right on the main road of Civil Lines. 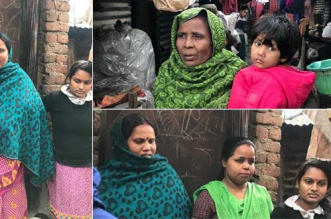 On enquiring, we found that none of the families were familiar with waste management concepts, secondly, there was no service being provided for waste collection by the municipal corporation here. The entire slum area considers the big ground located on the main road as their dump yard. For 17-years, I have been living in this locality and one thing that has not changed here is the way we deal with our garbage. I have seen that big ground turned into a landfill site. 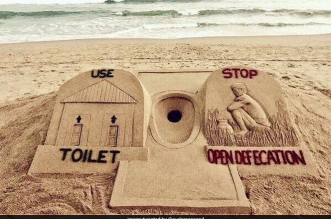 It stinks, it is also bad for our health, but we have no choice. Madam, in Civil Lines two things are very common – one are the monkeys and another is the garbage dumps. On the other hand, in Paharganj Market, at first glance, the area appeared cleaner than civil lines but dustbins were hard to find. 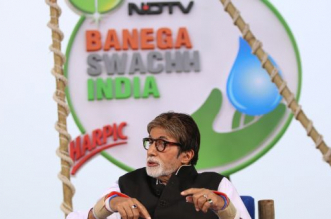 NDTV team during its field trip spotted only two bins installed at the beginning of the market. Manager at Sam’s Kitchen told us the market is usually kept clean to attract more tourists here but there is no waste segregation being followed. We just try and keep the surroundings clean for tourists; we save the waste of the day in a bin and at the end of the day go and throw it in the nearby kachra ghar (Garbage collection centre). 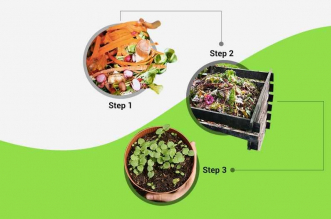 The first step in achieving effective waste management is setting a layout for waste segregation which North Delhi Municipal Corporation has successfully done. We are currently working on making waste segregation in all areas compulsory, even waste collection, but it is a huge task, it will not happen overnight. The activity involves changing people’s established behaviour, we are working on it and we will achieve success soon. In order to change the reality of waste management, we have recently announced setting up of ‘Safai Nigrani Samitis’ (Ward Committees), these people will be responsible for effective implementation of solid waste management rules in their areas. 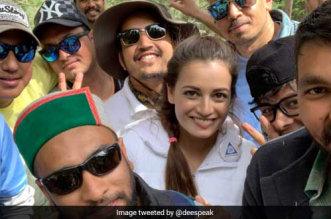 In South Delhi, our locations were Zamrudpur slum and Sarai Kale Khan area – both locations were just as clueless about waste management as North Delhi areas, South Delhi too wasn’t segregating their waste. Yahan toh aisa hi chalta hai, log kachra giratein hai, usse alag kya karegein…(Here the system of waste management works like this..people are used to throwing the waste from their balcony, they won’t follow waste segregation). Next, we visited some of the shelter homes in Sarai Kale Khan and found for each of the 50 shelter homes built by Delhi Government and Delhi Urban Shelter Improvement Board (DUSIB), located in the 10 kilometres radius of the area, the garbage disposal was not factored in. Thousands of homeless people living in that area found no utility for non-existent dustbins, as they conveniently threw waste in their backyards. 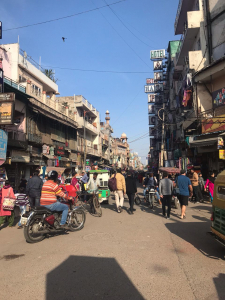 In East Delhi, we visited Geeta Colony slum area and New Ashok Nagar apartments – it was the dirtiest location visited during the field trip. 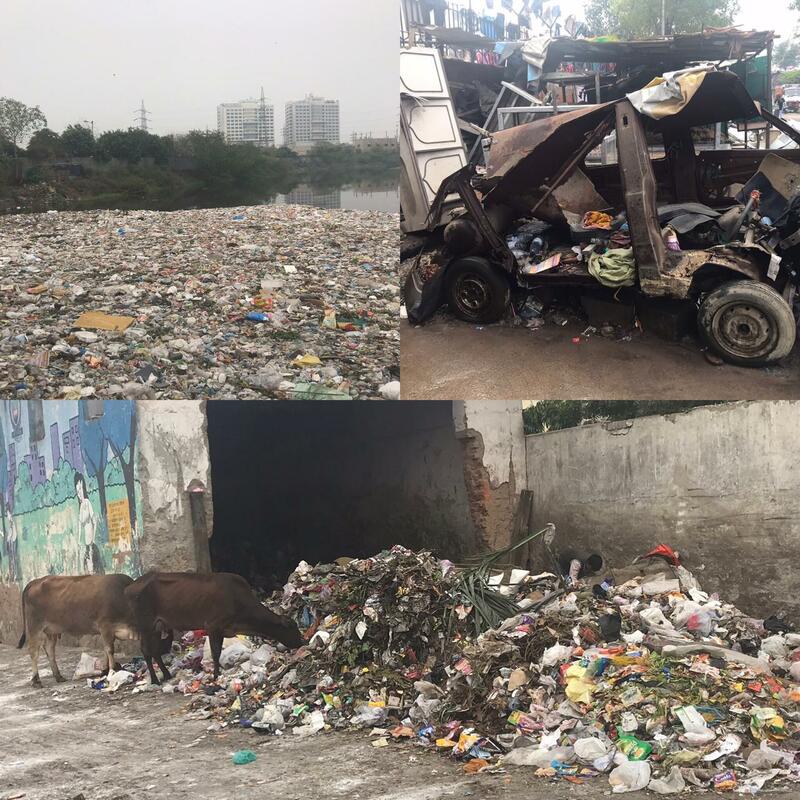 From spotting one huge drain that was directly flowing to the Yamuna River, filled with countless plastic waste items to old cars turned into dustbins and endless garbage dumps – lack of any semblance of waste management was evident wherever we went in these East Delhi localities. You will see waste on the roads, you will realise how dirty the colony is. 50,000 people staying here don’t know how to effectively manage their waste. Moreover, there is also an irregular garbage collection service. I don’t follow waste segregation, the government said they will provide the bins and facilities for managing our waste, but as of now nothing has been done. Even if I segregate my waste, the garbage collector coming at home is not equipped with facilities to take my separated waste. As a result, my efforts go wasted. Apart from families living in the apartments and slums, NDTV spoke to the waste pickers working at East Delhi’s kachra ghar. A young waste collector told us that the municipality has not yet told them to collect segregated waste from the colonies. Moreover, he was unaware of the rule of green and blue bin. 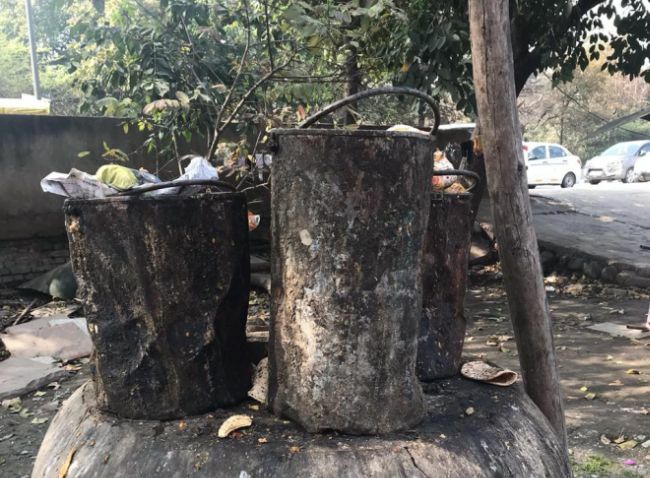 Our Findings: The national capital region of New Delhi is not segregating its waste, even though some people are following the basics of waste management, the municipalities are not ready with the facilities to manage it. 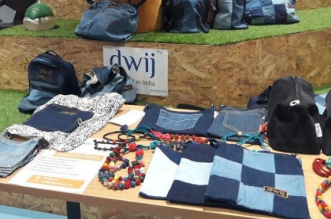 As a result whatever little efforts are being made to manage waste. Moreover, the municipalities are yet to cover all the areas for the door to door garbage collection. 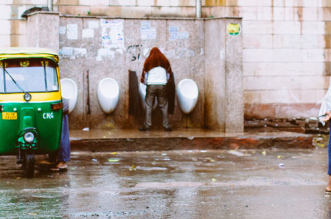 Waste segregation is actually not happening in any other region of New Delhi. Our city, till date, is generating about 10,500 tonnes of waste and a lot is getting sent directly to landfills. Moreover, the problem is that MCDs are not well prepared for waste management. For example, crores spent by each corporation in installing the two-bins system. But, what is the point of that money when till date no segregation at source has actually taken place. 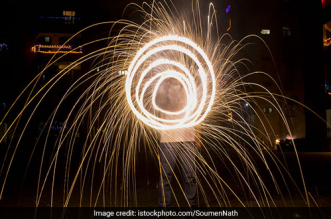 A recent assessment by Centre For Science Report on Waste to Energy (WTE) plants in India stated that mere 13 percent of Delhi’s waste is of high calorific value and can be incinerated to generate energy. The rest of it can either be treated biologically or recycled. Yet to treat mere 13 per cent of waste, the capital has constructed three WTE plants with the capacity to handle nearly 50% per cent of its municipal waste and is planning to build a fourth one with no ideas about where the high calorific value waste will come from to feed these plants. Delhi needs hybrid solutions. 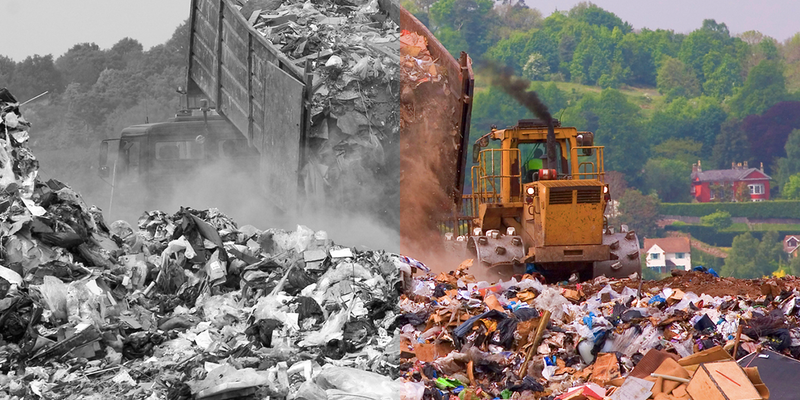 Ideally, landfills should be used for rejects and inerts and that should be sent to the waste to energy plants. But, the city’s landfills are filled with mixed waste and that is what is going to these plants and as a result, they are not really working as a solution to city’s waste woes. Till the time our municipalities will take charge of the small areas effectively like these slums, Delhi’s waste woes will not get over. 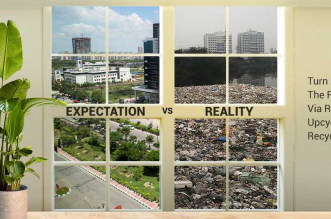 Currently, the problem is waste management is limited to residential colonies, apartments and markets. 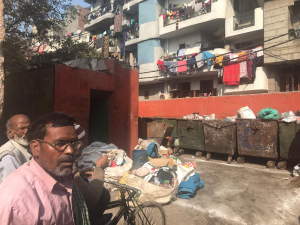 If we continue to leave areas like Geeta Colony slum where 50,000 people are living then how will Delhi become waste-free? Moreover, municipalities should start involving rag-pickers, currently, the most important source ineffective waste management system is being ignored. Once these two things will be taken care of, waste management load from the capital will reduce. In Delhi, the corporation without any planning spent crores in installing blue and green bins across the city. Yet, today there are areas that complain they don’t have access to such facilities. 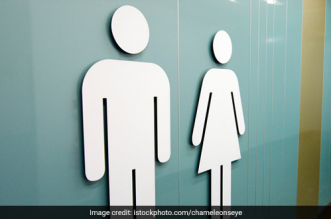 Moreover, the corporation has not incorporated any facilities or laws for waste segregation, as a result, no waste segregation is being followed by the citizens. We need to have a plan on waste management – we need to ensure our residents are fully trained on the dos they have to follow and our sanitation workers are not clueless. Along with it, we need to also factor in how are we managing the segregated waste. As such there are no centralised plans and that is the reason why Delhi is failing in waste management.